Preceded in death by husband, Elmer Ochsenbein. Survived by daughter, Christine Bowden; grandchildren, Jason (Jamie) Bowden, Ryan Bowden; great grandchildren, Alaina and Elijah Bowden; sister, Charlotte Scott; brothers, Frederick Yeager, Roy (Margaret) Yeager; numerous nieces; beloved dog, Stormy; granddog, Bauer. To send flowers or a remembrance gift to the family of Shirley Mae Ochsenbein, please visit our Tribute Store. 404 S 108th Ave Omaha 68154 Ne. 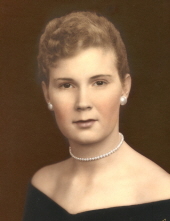 "Email Address" would like to share the life celebration of Shirley Mae Ochsenbein. Click on the "link" to go to share a favorite memory or leave a condolence message for the family.